There is something wonderfully romantic about spontaneous travel. Escaping the humdrum of your day-to-day routine and surprising yourself with new experiences can rejuvenate the soul and remind you that life is full of adventure and unexpected joy. 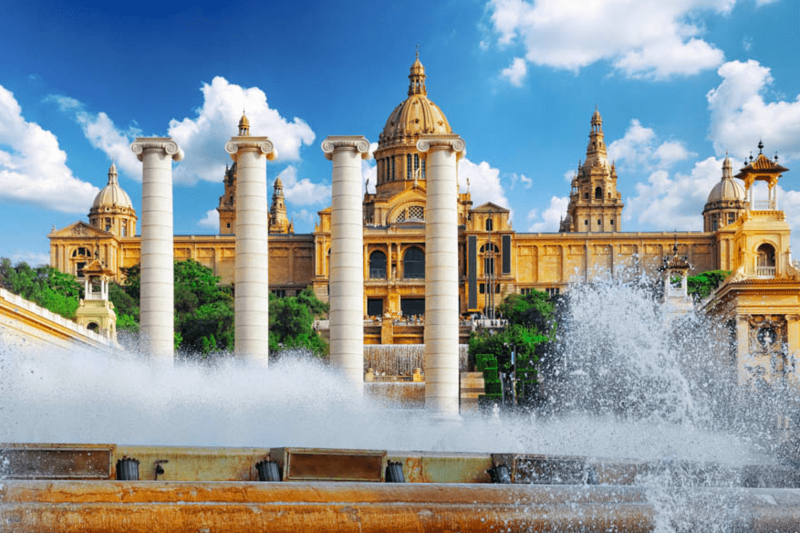 If you’re looking for a getaway to ease the grey of winter, we suggest beautiful Barcelona. Here are just a few of the attractions that you simply have to experience. 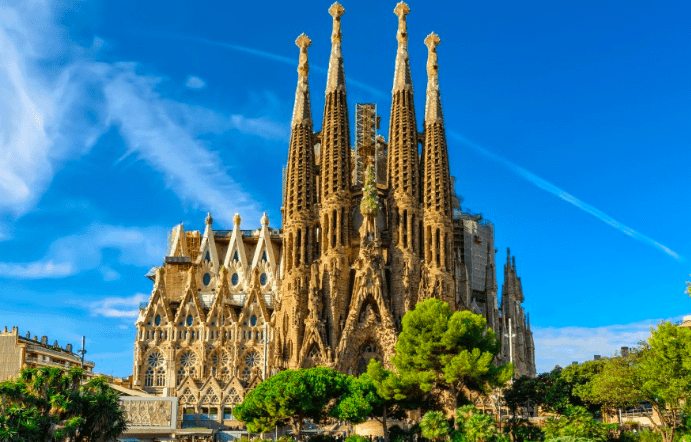 Your trip to Spain’s cultural hotspot would not be complete without a visit to Sagrada Familia. Sagrada is the biggest unfinished Roman Catholic Church in Barcelona. Intricately designed by the masterful Catalan architect Antoni Gaudi. The construction of this surreal landmark was interrupted by the outbreak of the Spanish Civil War. The landmark is speculated to only reach completion in 2026, a century after the architect’s death. Despite it being unfinished, the structure, with it’s towering turrets and quintessential Gaudian design, is still a sight to behold. The best way to experience the nuances of a new city is to wander the city streets. 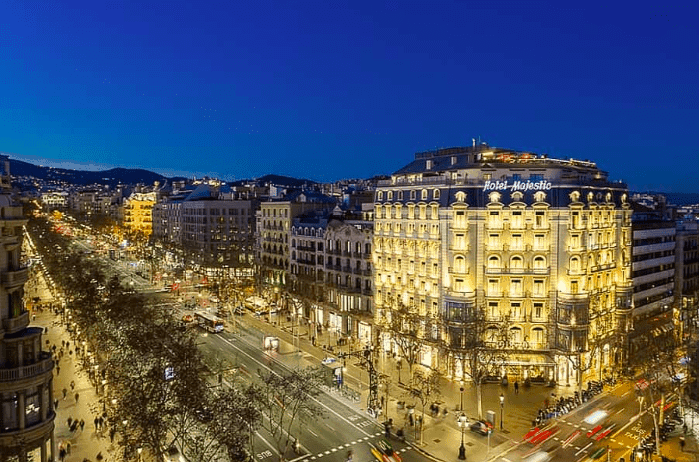 Passeig de Gracia is one of the city’s most vibrant, bustling avenues. It is brimming with high-end Euro-stylish boutiques, trendy bars and some of the city’s most celebrated architecture. Take a stroll down the avenue, look up, treat yourself to a new dress or sip on something delicious and boozy somewhere cosey. Art is culture. Visiting a national gallery is an experience that offers you a peek beyond the usual touristic attractions into a city’s true nature. We suggest you spend an hour, or two, at this museum to be immersed in the awe-inspiring beauty of human talent and creativity. Be enthralled by works of some of the masters of Catalan modernism, Baroque and European Renaissance art. Barcelonans are indulgent people. The Spanish know all about relishing life’s most hedonistic pursuits, one of the most important being the unrivaled joys of good food. 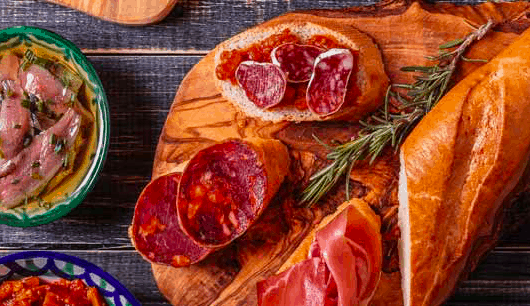 Local cuisine centers around the scrumptious art of tapas; bite-sized mouthfuls paired with a glass of good wine. Viana is one the city’s best-known tapas restaurants. The establishment effortlessly creates an atmosphere of easy European style paired with delicious food. Order the pork carpaccio, classic ceviche or the meat and cheese board and pair it with a glass of something exquisite. Caso Batlo is unlike any other building you are likely to lay your eyes upon. 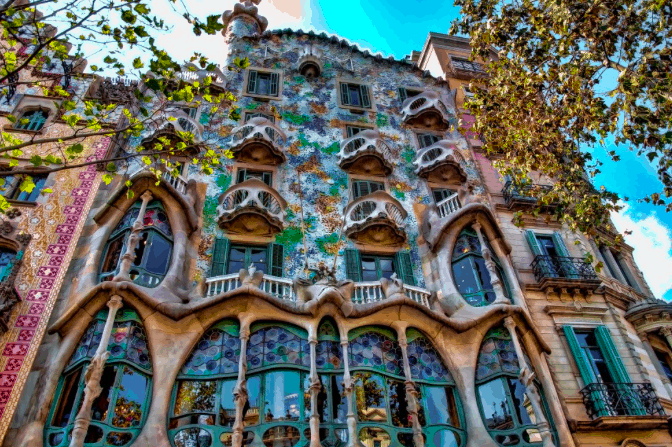 This dream-like architectural marvel is yet another one of Antoni Gaudi’s masterpieces. The building is locally known as Casa dels ossos, the House of Bones, due it’s other-worldly and skeletal quality. Resting in the very heart of the city center, this is another Gaudian creation you simply cannot overlook.